01 Nancy! Julia! So Bleib Doch! 03 Wie Nahte Mir Der Schlummer , Leise, Leise, Fromme Weise! Anneliese Rothenberger is a lyrical soprano who has been an integral part of German opera since the Second World War. She has also devoted herself with devotion to the art song. 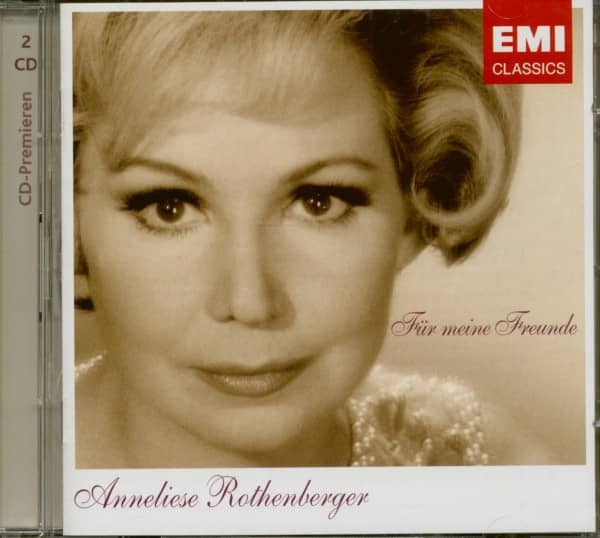 At the beginning of the 1950s, however, she is not too sorry to be working in the field of underground music with this outstanding background, as her "La-Le-Lu" from 1950, recorded with Helmut Zacharias, proves. Her male vocal partner is Detlev Lais, an extremely popular singer in the fifties. 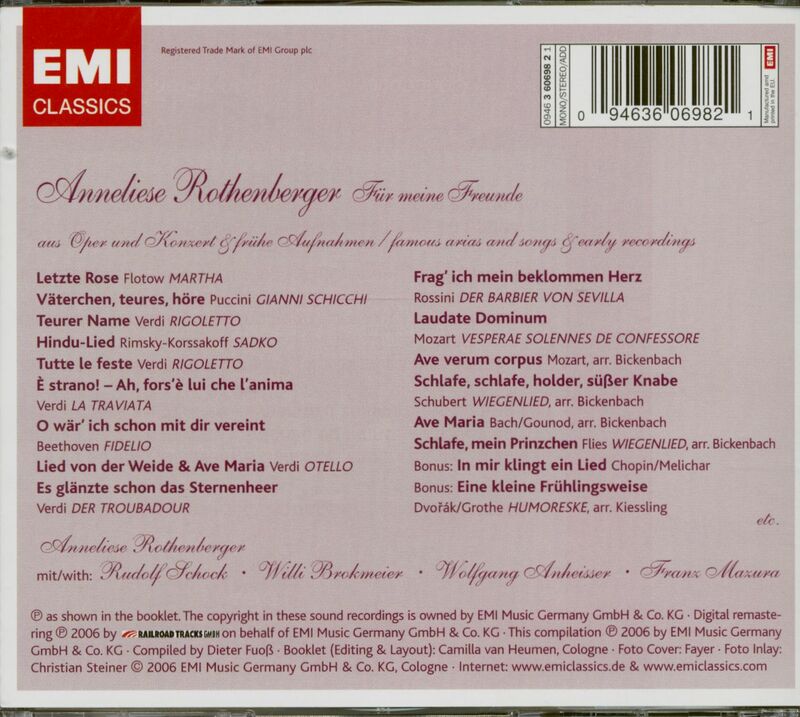 Customer evaluation for "Für Meine Freunde (2-CD)"